I'm the developer here at RuneHints. This month's focused around a world-spanning slayer challenge from the one and only Raptor, with a new monster to fight each week and double Slayer XP from daily assignments, given by the big fella himself. We've also got a long-awaited update to defenders, awesome divination outfits and the closed beta of Chronicle: RuneScape Legends. For the month of November, the Raptor has undertaken one of Gielinor's most noble callings being a slayer master! Any RuneScape member of any Slayer level - can try their hand at completing Raptors assignments, for double Slayer XP and the opportunity to unlock some cracking new rewards. There's a special suit of Raptor-themed cosmetic armour available, one that can upgrade its looks if you take on four brand new slayer monsters that we are releasing throughout the month. Each has a unique drop and devious combat mechanics, and requires 96 Slayer. All of these magnificent creations came from you via RuneLabs and the polls, so if you die horribly, you'll have to blame Anarchy Time, Omnis, Syrus Coy and Adelunth for their brutal ideas! 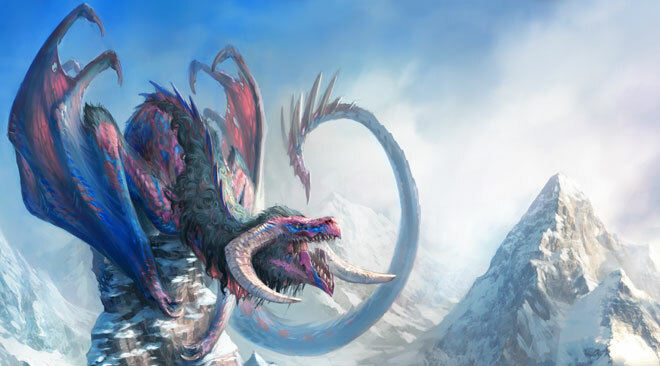 Firstly there are wyverns horrific beasts that live in the freezing conditions of the Asgarnian Ice Dungeon. You'll have to keep an eye on the hostile environment to defeat these bad boys, and hope that they'll drop the new lvl 85 wyvern crossbow with its powerful passive damage-over-time effect. 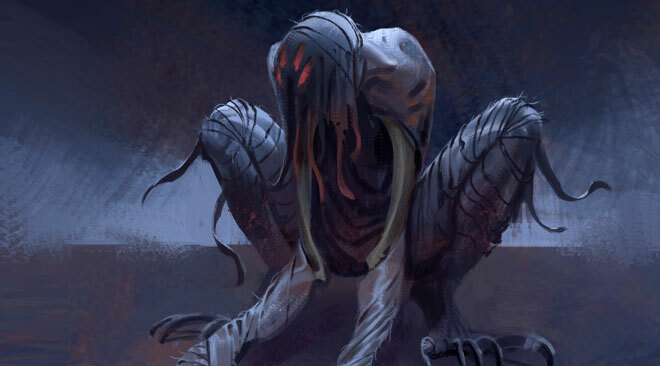 Next up are ripper demons, the horrible reality behind the legend established in One Piercing Note. Lurking in a cave near Al Kharid and equipped with powerful claws, these guys are highly mobile, leaping from the shadows and preying on the unready with devastating effect. Their unique drop is the level 85 ripper demon claws, which become more damaging the lower your opponent's health is. 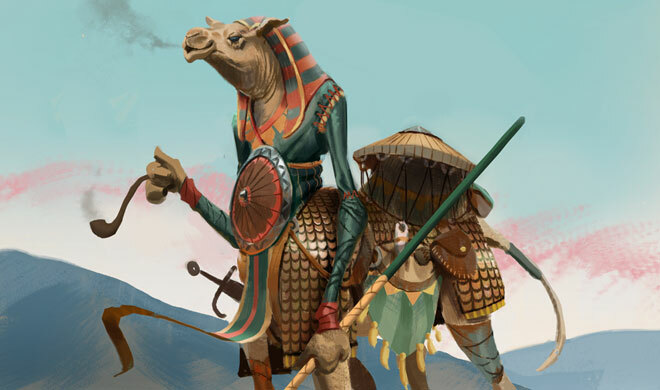 Camel warriors are far from comedic, although they do look very strange indeed. These mysterious soldiers are investigating an island east of Sophanem, and are capable of using both magic and physical violence. You'll have to be wary of their mirage-based tactics and adapt accordingly. They drop the awesome level 85 camel staff, which can reduce the accuracy of your target's own attacks as it's used. 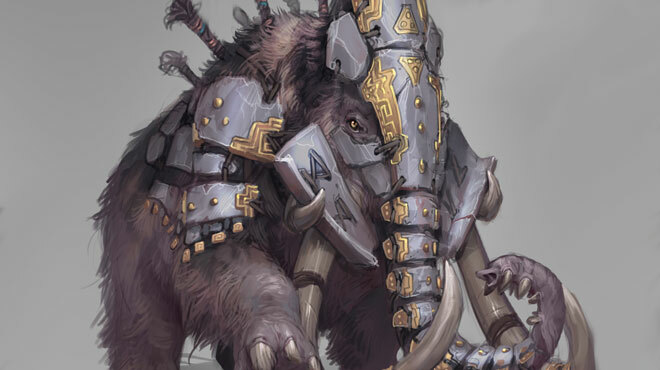 Finally - without doubt my favourite of the four - are the giant Acheron mammoths. These huge, lumbering beasts live on a distant iceberg and have a surprising turn of speed. They're capable of trampling you into the ground like a puny insect or smashing you about with their relentless charge. They have a particularly awesome unique drop the ingredients to make a level 99 summoning pouch for a new best-in-slot beast of burden! All four of these new high-level mobs can drop key parts that - when combined together - open Raptor's chest to access even more rewards. Therell be brand new defenders being added from level 70 all the way up to level 90. Right now, were just releasing the melee versions, with ranged and magic defenders coming out later. The new defenders are drops from the Barrows, Nex and the Kalphite King, but youll need to grab the lower-tiered defenders before you have a chance to get the higher ones. So grab your dragon defender and get ready to cross the world to find all three of the tasty new weapons. There are a few extra steps to completing each one, so keep a look out for more info on them over the next few weeks. We're adding Divine Simulacrum outfits to Treasure Hunter that can speed up your divination training, and can be combined for even greater divination-related rewards. We're also giving you an extra chance to grab those rare items from the Rare Store - increasing rare tokens for a special weekend and reducing the token price of the rares themselves. Finally, I'm very proud to announce that the closed beta for our brand new strategy card game Chronicle: RuneScape Legends - will be launching on the 25th of November. It's a fantastic game that's well worth trying out, so pop over to the Chronicle website, watch the trailer and sign up for the beta! It's the perfect game to play while training those low-intensity skills. As a closed beta, we will be inviting a few thousand people at a time from those signed up, with more being added later, so get in quick! Mod M-AAAAH-tthe and Mod Oll-EEEEK meet in the waning light to talk about the Halloween event: Gauntlet of Souls. Listen now on YouTube, on PodBean, or on iTunes...if you dare.